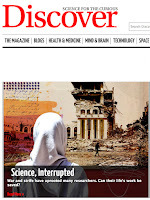 This feature on displaced scientists and researchers struggling to resume their careers as refugees was one of the most rewarding projects I worked on this year. 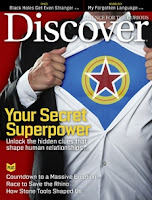 It's always a pleasure to work with Discover and my stellar editor at the magazine, who believed in me and this story enough to encourage me to take my kernel of an idea for a short news article and make it blossom into a long feature. New political urbanism in Istanbul's Taksim Square. Taking this deep dive into issues of public space, urban design and the politics of urbanism in Istanbul was another highlight of the year. I'm grateful to Disegno and the editors there for giving me so much room and freedom to explore issues I've been thinking, reading, talking and writing about for years in such an in-depth way. I learned so much from the architects and planners I interviewed, and even took away some bits of hope where I'd expected to find none. The endangered town of Hasankeyf is a special place in Turkey; I first visited it in 2011 and wrote a travel piece for Time Out Istanbul, followed in 2013 by an article on a cross-border river journey that aimed to raise awareness about the dam threatening Hasankeyf and downstream parts of the Tigris River in Iraq. This year, as the pace of preparations for Hasankeyf's flooding accelerated, I wrote two news pieces about the looming destruction of its communities, heritage and environment, this one for Equal Times, and one earlier in the year for Thomson Reuters Foundation's land-rights portal Place. Plentiful chances to ramble around ruins are one of the things I love about living in Turkey, and the more hidden-away and neglected, the better. So when one of my regular hiking excursions in Istanbul took our group hacking through thick and thorny brush to reach the largely forgotten remains of a bustling Byzantine trading port, I knew I wanted to learn more -- and write -- about this fascinating place. Following on my previous features for Discover about urban archaeology and the Neolithic site of Çatalhöyük, the magazine published this short piece I wrote highlighting some of archaeologists' key finds at Bathonea. Over the years I've lived in Istanbul, I've often been disappointed to see travel and food writers cover the same well-trodden ground about Turkey over and over, even in publications I respected. So I was happy to get an email from the editor of Fare, a new magazine promising a more eclectic, imaginative approach, asking me if I had a fresh story about food in Istanbul to tell. 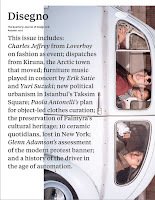 My short piece about some lesser-known treats with bittersweet histories appeared in Fare's inaugural edition, a beautifully designed publication devoted to all things Istanbul. Another big highlight of the year has been developing an ongoing relationship with the wonderful team at Lonely Planet, with whom my work has included helping update their online coverage of Istanbul; putting together neighborhood guides and other fun "insider" looks at the city; writing short travel news items and longer travel narratives about Turkey; contributing social media content to their channels; and editing parts of their global content on places from Argentina to Tallinn.